Last week I found out about an updated WordPress plugin that let’s you archive your Twitter feed within WordPress. The plugin: Ozh’ Tweet Archiver. I’ve already put it to use with my own Twitter archive here. I’m using the Hemingway theme for the moment, but Ozh already released a theme that looks like the new Twitter profile that I might utilize. Ozh’s plugin only imports the most recent 3,200 tweets (thanks for that restriction, Twitter), and he just posted a way to use your Twitter archive to import your previous tweets. That wasn’t available last week, so I used the Advanced CSV Importer plugin to take the csv file from my Twitter archive and put those older tweets into the WordPress database. This plugin is a really good way to maintain a usable archive of your tweets. Twitter might not always be around, plus, this is your writing, store it on your own website! Thanks, Ozh, for your hard work on this. 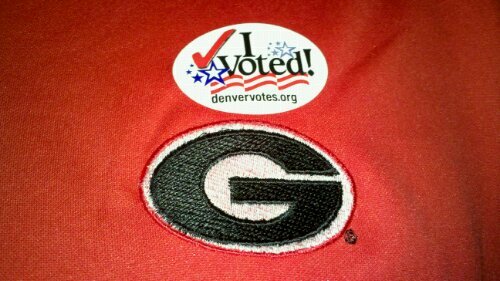 That’s right, I voted and I’m wearing Georgia gear. Plus, I’m trying out WordPress on my new Android phone! I was glad to see I wasn’t the only one disappointed in Diaspora. Read this article from Blogoscoped, Beyond Diaspora: Another Facebook Alternative has a Head Start. While I have already deployed Status.net (it’s an open, distributed alternative to Twitter, and mine is here), it doesn’t allow for much social functionality, especially for the single user. And GNU Social, what the article is really about, isn’t widely developed (look at the email lists, there are very, very few posts). I would think the GNU/FOSS community could put some more substantial effort behind creating an open alternative to Facebook. As I said up front, I’m disappointed in Diaspora (the open alternative to Facebook that got a lot of attention this summer). Diaspora runs on Ruby, which is great if you like Macs (it’s built in to the operating system), but Ruby runs poorly on Linux servers (which host the majority of the internet’s sites). The entire package is difficult to install on Linux, but the real issue is Ruby. Ruby is notoriously slow, and a lot of people are reporting that the app slows to a crawl when two people are accessing it. I’m disappointed in Diaspora because they didn’t make Diaspora to work with common server technologies like PHP and MySQL. Therefore, the installation base is a lot smaller, and those that want to install it are in for a day-long treat typically. And this is why I’d rather host my content on my own server (like this blog). Twitpic, the popular Twitter-related image host, blocks a tool that lets you automatically get out all of the photos you’ve uploaded. The Harvard Gazette is now on WordPress, with a beautiful magazine-style design. There’s a whole meme/argument going around a few blogs and Twitter saying WordPress isn’t a CMS. Who cares what you call it, look at the amazing sites you can create. (And manage content on.) Who woulda thunk it. I thought WordPress was only good for “just a blog” — what are these Harvard gonzos doing? Fie! I say. I have to agree. I use WordPress to most everything! Last week I posted a brief piece in the WordPress Ideas Forum. To sum it up, I proposed for WordPress to use another open source project (Gallery) for its media integration. I’ve previously written about the Gallery project. A major focus of WordPress’ upcoming version (2.9) is media integration, including photos and videos. Many in the community are worried that WordPress is starting to get much too large of a package (bloat). There is already another community built on photos and videos on the web, and I think WordPress would be better off to work with the Gallery community than to build media uploading and gallery capabilities into a blogging project. I believe the next version of WordPress will have lots of new features related to media, editing pictures, and things of that nature. Many (including myself) view that as bloat. Instead of building these features in, why not support another open source project like Gallery which has many of the needed features already in a project dedicated to photos/media. Either in the core or in an included plugin, allow for posting of an entire photoalbum in Gallery into a WordPress post (in the same fashion that Ma.tt currently has album-type posts) and allow people to connect their WordPress installation with a Gallery installation. By doing this, WordPress users would get better photo/media integration through a dedicated project (Gallery), the size of the WordPress package would remain small (for anti-bloaters,myself included), and WordPress would support the Gallery open source project (I’m sure WordPress developers would work more with Gallery if there is integration and bring some improvements). I would really like to hear feedback on this idea. Gallery3 is still in beta, and the API isn’t documented very well, but I think an infusion of developer support from a project like WordPress could easily conquer this problem. Even with the lack of API documentation, I am already looking to integrate WordPress and Gallery. If you regularly read this site, you know I love WordPress, the open source CMS software that powers this site. I also love hearing about how other (more productive than me) people work, so it was interesting to read this article by the WordPress founder Matt Mullenweg on how he works. I just added this to the list of Governments Using Open Source CMS (content management systems), but I wanted to hit a quick post because of the importance. I recently started tracking the use of open source content management systems by governments. Army Live, the Official Blog of the United States Army, launched in April and uses WordPress. The site has actually been up since April 7th, 2009 – here is the welcome post from the Army’s Chief of Public Affairs. The WordPress Publisher Blog has coverage here. I think this is pretty neat, especially looking through the posts. I think more and more, folks (and governments) are learning that WordPress (and other open source CMSes) are easy to use and cost little to deploy. To follow up on my last post, here are some more random links that have recently come across my radar. First, I am writing this in version 2.8 of WordPress. 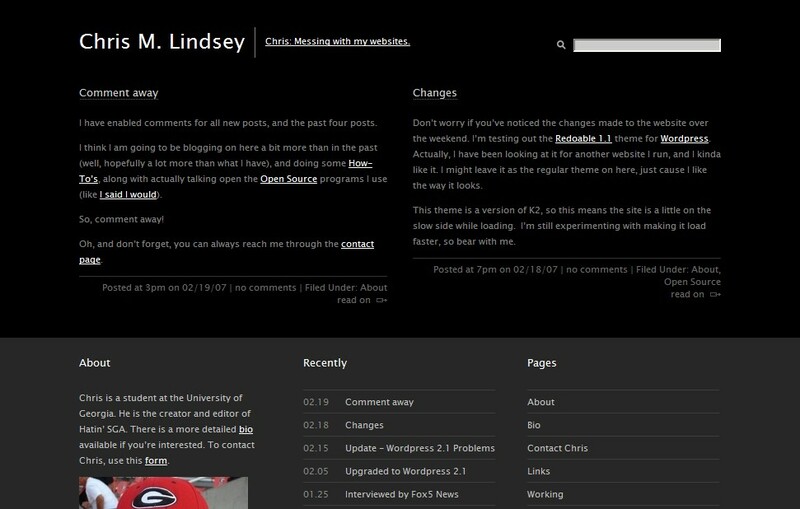 WordPress 2.8 is an incremental improvement on 2.7, but it really rocks. Here is the post announcing WordPress 2.8 (check out the video for the highlights) and here are some tips and tricks for using WordPress 2.8. And because of the new WordPress release, I have fixed up a few things around here. I disabled WP-Super-Cache (this takes a bit of load off the server by generating static HTML pages instead of querying the database ever page load) because it was messing with the Twitter bar on the right (really old tweets were showing up). I will likely reenable this is traffic every picks up, but for now the site doesn’t need any caching. I have also changed the byline of this site (again). It began as Life in Athens, GA, then switched to Life in Lawrence, KS (when I moved to start grad school), then to Life in Jefferson County, CO (again, when I moved to Colorado). These were all adequate descriptions of the site, but it needed something more. WordPress includes that byline in the page title, so it shows up when you search on Google. So I decided to use a more applicable byline for what I’ve been writing about. Now the page title (and Google) read Chris M. Lindsey: Technology and Social Media in Public Administration. I’m not completely sure about this, but hopefully it will last for a while. 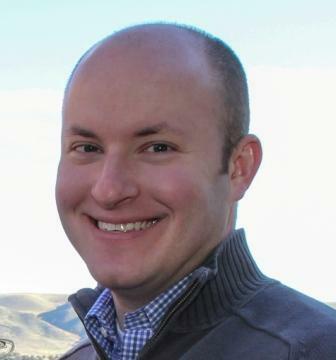 This article from the New York Times introduces the country to a 31-year-old Brian Deese, who is a major player in the automotive industry recovery. Great article, and great job for Brian. I hope more young people can make it into positions of influence, because I know we can bring a lot to the table. The City of San Francisco is accepting complaints from citizens via Twitter. I think this is the biggest of all the links, because it shows a city trying to connect with their citizens in the ways they communicate. And you know what, this probably didn’t take very long or cost much (if any) money to implement. Here is the Twitter user that is accepting the complaints. More governments need to be doing this. The New York Times says that smartphones are a necessity. Especially if you are out of a job (sarcasm). Seriously, why do jobless people need to be spending the money for a smartphone? Ars Technica reviews the Palm Pre smartphone. What I find interesting here is the discussion on the second page about having better contact integration. It doesn’t necessarily need to be syncing (because who wants to have all of their Facebook friends or Gmail contact listings on their cell phone address book), but you should be able to access the contacts on these services. And search all of them from one place. Time has a great article on whether computer nerds can save old-fashioned journalism. Gina Trapani linked to this great article in the New York Times that profiles Jim Collins, the author of Good to Great. If you’ve read the book, read this profile. Last but not least, the Athens-Banner Herald covers an Eagle Scout project. Paul (a fellow Eagle Scout) sent me this link. Jamie Jackson of Athens went above and beyond the call of Scouting and created a fish habitat from discarded Christmas trees. The fish habitat is quite needed at Lake Chapman (in Sandy Creek Park, Athens) because of the way the lake was constructed (pretty much all lakes in Georgia were man-made), it cuts down on natural fish habitats. Way to go, Jamie Jackson! That’s it for today. I hope to be writing more as I get into a more regular schedule with work.